It’s not easy being Superman. Five for Fighting said so. I mean, he can’t stand to fly. He’s not that naive. He’s just a man. In a funny red sheet. You know what else isn’t easy? Being a ninja – an app management ninja. It’s like you have to juggle a million and ten things just to keep your app alive (which must be *really* hard since you’re trained to kill). It looks like the app-backend gods were listening, though, with AppGuru and App47. No more tedious data-digging from twelve dozen different sources, no more self-(mis)directed (and severely misinterpreted) analytics, and no more questions of “Where did I go wrong?” keeping you up all night. If your developer divorced you after bringing an app into the world, or if you simply want to be more hands on with managing your app after it has hit the app stores (but want to keep your developer around for the occasional drink or two), do what Fortune 500 companies do to stay in control: be involved, but let someone else do the leg work for you. Earlier this month, the app world went abuzz with the launching of AppGlu, a mobile application platform designed for businesses and consumers. Used by Disney, CBS Interactive, Sony, Audi, and other big shots, AppGlu offers three features that will make your appreneur life easier than you ever imagined. Easily and instantly publish new in-app content to keep your app fresh and cobweb-free. You can even preview, test, and schedule your updates – no app resubmission necessary. Love it or hate it? 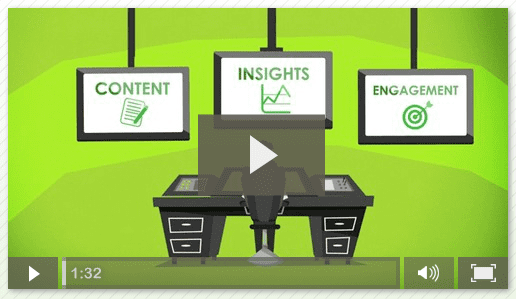 See what your users think with real-time performance insights and content analytics. Want to know if you’re meeting your goals or if your last update or marketing campaign was successful? Get aggregated data from Google Analytics, iTunes Connect, Twitter, and tons of other sources combined with AppGlu’s own numbers all in one place. Tech-savvy is helpful, but not required with their easy to use UI, customizable metrics and charts, and exportable reports and summaries to share with or present to others. Increase user engagement with personalized content, customized messages, and push notifications based on their preferences and behavior. Like social media management via Hootsuite, etc., you can also schedule delivery at the best possible time to get noticed and maximize engagement. If you’ve got an enterprise app (or you’re managing apps for an enterprise), App47 has what you need. Their clients include USA Today, CloudLink, Big Nerd Ranch, Pictometry, and Rocket Software. Like AppGlu, they offer three major features that will help you tackle the scary world of enterprise mobile app management. App47 lets you set up your own app store, where you can list public and private apps for your entire organization, select groups, or specific individuals. With their access control feature, you can grant, restrict, or disable access to anyone, monitor usage, and enforce rules and policies set forth by your company. Need to test your app? Go ahead and set up beta testing groups, complete with benchmarks and baselines. Create crash reports, identify trends, then see which users and devices are having problems, as well as which activities, versions, and platforms they’re using to get to the root of the problem. When you run enterprise apps, someone has to play Big Brother, both for the organization’s and its employees’ best interests. Unfortunately, having to watch what everyone is doing at all times comes with the territory (unless you’re into that kind of thing, you creeper). With App47, you can easily monitor daily activities, including who is using the app, how many people are using it at a given time, and how long they are using it for. App47 will also give you the low down on new users, returning users, and users who have stopped using the app. This way, you can see where your app(s) are getting the best use and where it’s falling short. If app management is a breeze for you, then that’s great. But it’s not for everyone. With AppGlu and App47, managing your app post-launch is faster and easier than ever.